Owl in a day’s work! 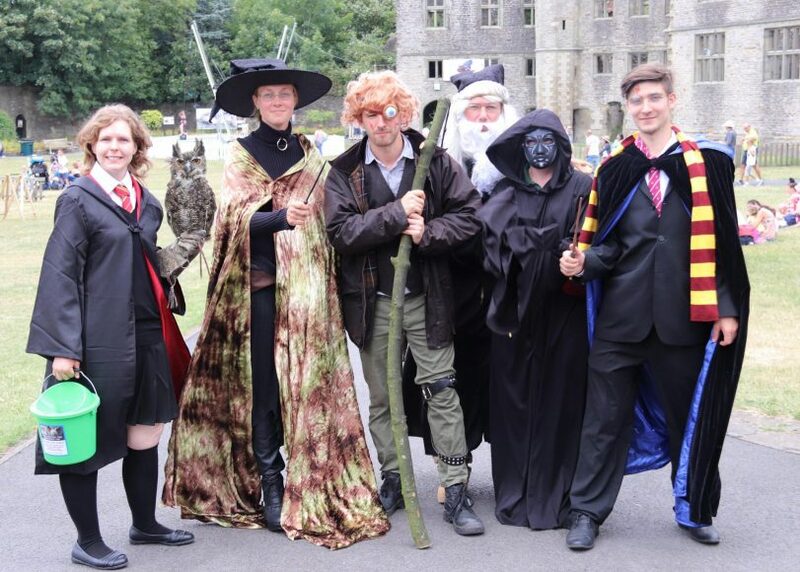 Happy International Owl Awareness Day twit twoo – we had a magical time celebrating and raised £300 for a bird conservation charity. 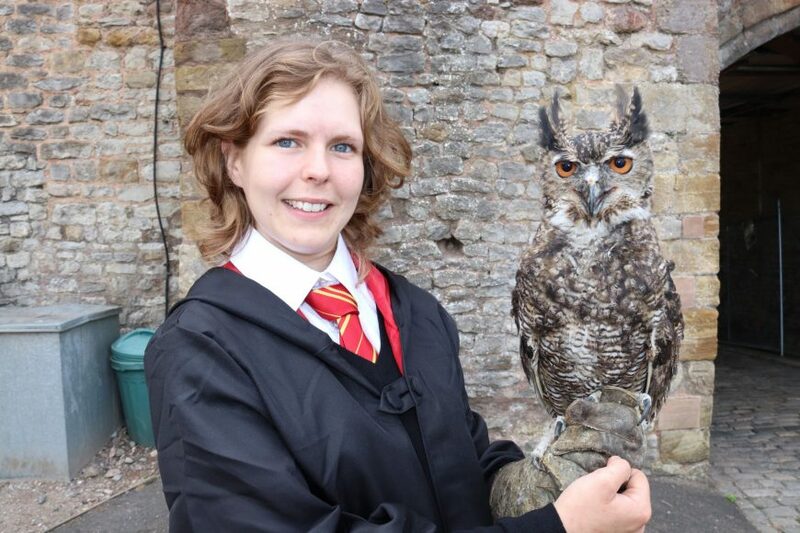 On Thursday, our bird keepers and Presenter Langan Turner transformed into Harry Potter characters to celebrate DZG’s 12 owls, including Grafton the coast horned owl (pictured), and the iconic species all over the world. 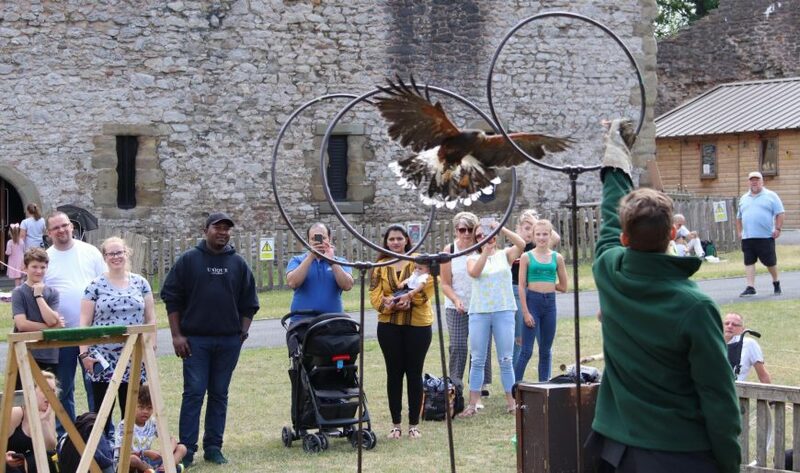 The whole day followed the theme of J.K. Rowling’s hugely popular fantasy fiction series with Harris hawk, Fawkes, flying impressively through Quidditch hoops and our owls starred in a special Go Wild! show. 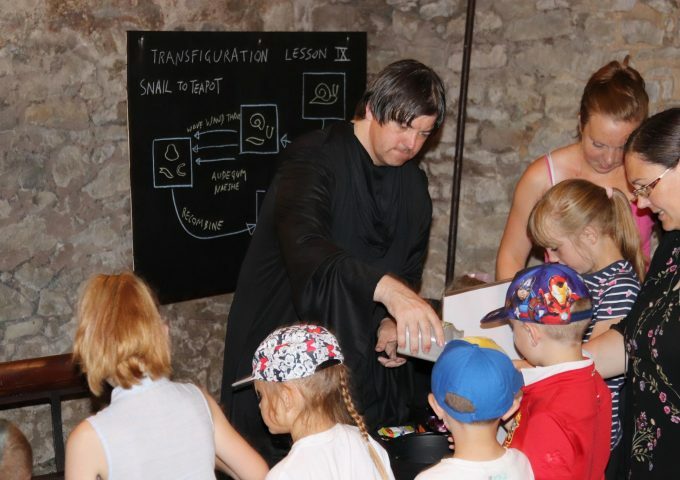 Langan took on the role of Professor Snape and mixed magic potions in the castle undercroft and there were lots more fun games, an owl trail and face painting which together pulled in £300.64 for an avian conservation charity. Birds Section Leader, Nicola Wright, said: “The whole day was a lot of fun and thanks to our visitors for supporting the event and celebrating our owls with us. There are 217 owl species in the world and DZG has a few, including Northern white-faced, great grey, snowy, barn, little, burrowing and coast horned owls. Previous: Mud, mud, glorious mud!